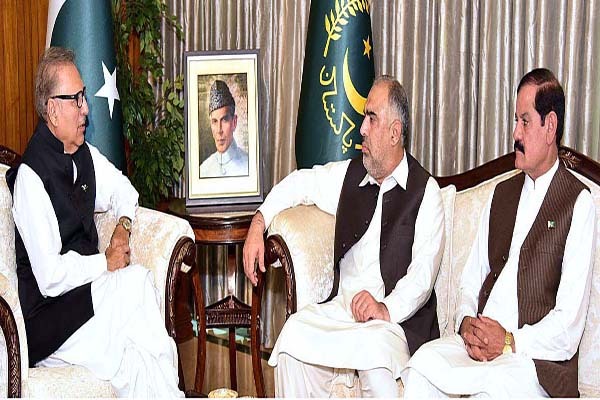 ISLAMABAD, Sep 12 (APP):Speaker National Assembly Asad Qaiser and Speaker Khyber Pakhtunkhwa Assembly Mushtaq Ghani called on President Dr Arif Alvi here at the Aiwan-e-Sadr on Wednesday. They congratulated the president on assuming the office of the president. Federal Minister of Petroleum Ghulam Sarwar Khan and Attorney General for Pakistan, Anwar Mansoor also separately called on President Dr Arif Alvi.